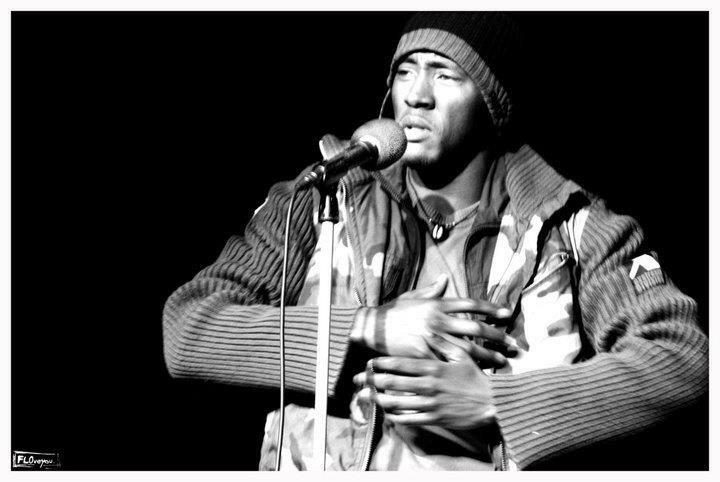 KB Kilobyte’s poem ‘Joburg Let My People Go’ has been nominated for the first ever Word N Sound Perfect Poem Award. Find out how to vote for this poem below. I was hoping they’d be taken back to their own experiences of being in Jozi. There is a host of emotions that I feel when I perform this poem because it’s sooo real and I hope it resonates in everyone in the room because of it’s truth. Most of the content I wrote walking up and down Bree going to WnS actually. I hope the audience and fellow poets learn how potent a poem becomes when it’s real and close to the heart, and the reality of that poem. Very well, some felt I should have won that leg of the slam. But I won their hearts and that means the world to me. I’ve already performed it for God, let me choose someone else,..I would say amongst many, bra Hugh Masekela. I think his “Stimela” song/poem is one of his best works ever. It’s great to see that a person I consider an icon and legend in the arts shares such views on the issue. An honour, especially considering that a year ago I was so cocooned in Pretoria fearing how the Joburg audience would receive me. I’m truly grateful and humbled. He’s a self-proclaimed modern day Spartan who likes to lie to women just to see them smile. Hahaha, just kidding…he’s also an amazing writer and a performer you don’t easily forget. This month we welcome KB Kilobyte as our showcase act for our September episode of the Word N Sound Poetry And Live Music Series. 1. As a well known performer in both Joburg and Pretoria what would you say are the major differences between the JHB and PTA poetry scenes? Let me start by saying that I love and appreciate that Pretoria and Jozi are different, that diversity and the different experiences are what makes this educational and special. What I have experienced in Jozi is that artists are hungry to better their crafts and make it out there, and during performances, when you’re an outsider, you can almost feel the intensity. There is a sense of competitiveness and cut-throat approach to make it. Whereas PTA is more ‘chilled’. We are more conservative and tend to hold our work closer to home. Pretorians are more into poetry than slam, and I have to say the Consciousness Movement is growing and the PTA crowd is quite receptive to pure poetry! 2. The first time you appeared on the Word N Sound stage you performed the poem “I Lied”, please share the inspiration and experience behind it. The poem “I Lied” is a true story, I wrote it after I realised I loved the lady I was dating at the time, not based on her looks but for WHO she is and represents, however, of course when I approached her I told her she’s the most beautiful girl I’ve ever seen. Though we know it’s not entirely true, when know that some women love to be told sweet nothings whereas some of them deep inside know it’s not the truth but love it anyways, remember the last few lines say “so in the effort of true love, thirsty to see you smile, I lied and told you that you are the most beautiful girl I have ever seen”. 3. You’ve been on a lot competitive platforms, please tell us what’s more important to you, content or performance? After performing and competing in Word N Sound, Shoko Festival in Zimbabwe, House of Hunger, Penseed Poets etc. I would honestly say performance appeals to the eye and ear, BUT, content is for the soul, shows intellect and insight. If a poet is able to perform and add content, which is very do-able they’d be appealing to the majority rather than a select group. 4. Which poet still raises the hairs at the back of you neck when you watch the perform? Internationally, Saul Williams, I think his delivery is amazing, how he attaches emotion to every word and how in touch and aware he is of what goes on in the world. Def Jam’s Black Ice is another poet who speaks truth in every poem and is not apologetic about it. Locally, I’ve always enjoyed Tumi (Tumi and the Volume), even in his hip hop I can still hear how poetry laid that foundation. Mak Manaka’s old school meets the present presentation of his work is amazing as well. Upcoming poets, I’d say Mandi Vundla, Mutle, Donald the Neosepian, Sbu Simelane, Dee Rasedile, Vangile Gantsho, and Kb Kabelo Kilobyte:). Honestly the list is endless, I know of more talented artists out there. 5. Who do you think is going take the 2012 Word N Sound Open Mic Champion title this year? Word N Sound has been special this year, the number 1 spot fluctuating beyond control from one poet to another, with the exclusion of hoping the winner will be me, I’m drawn to the way Purple Jupiter just surprises everyone. But statistically, I think it’s going to be Masai. 6. You call yourself “The Spartan”. Please explain why you chose this particular name? Hahaha, after watching the movie 300, 300 times, I got to learn important lessons that I took out of that movie, that a man must fight for his freedom, have a firm vision, love and respect his wife, teach his children the law of ‘Respect and Honour’,work hard, and besides physical strength, have strength of the spirit. Such a man I yearn to become, so I practice to be the modern day Spartan man. 7. Do you believe that there’s such a thing as ‘wack’ poetry, if so, how do you define it? Yes, after you write a poem, recite it and feel you don’t like it, but you still perform it to a crowd without you yourself feeling it, how do you expect to throw it in a sea of ears like a message in a bottle and expect someone to catch it? Now that’s wack to me. With that being said, any form of poetry is good, depends on the fusion of content, performance and delivery. 8. What can we expect from your showcase? Honesty, less talk and chit-chat in between and more poetry! 9. Are there any poetry related projects that you are currently working on? Yes, I’m working with the Department of Mental Pathology at the University of Pretoria, helping physically disabled individuals (cannot speak, walk or write) but having full mental awareness, some have expressed their interest in writing poetry and we’ll be workshoping and training them how to write. Compiling national holiday poems to perform at every National Treasury (PTA branch) event. I’m working on a book due for release this December or January 2013. 10. Give us one word that should never be used to describe your poetry.